So what do I do and am I willing to do on my blog? I LOVE radio, all those buttons and dials make me feel like a kid again! And any opportunity to get my message out to mums is very welcome. Check out all my role as a Lifestyle correspondent for Radio Verulam and other interviews on my YouTube page. I’d love to come to your event or being sponsored to attend an event. I’d love to talk at your event about any of the subjects on my blog: check out my tabs for ideas on the themes that I cover. I would definitely need my expenses covered. I’m really unlikely to do your sponsored post or review or have time to reply to you if you contact me. There might be a couple of exceptions, especially for local events to hertfordshire or festivals and short holidays. If I do a post for you, I take it very seriously, so it will depend on how much time I have available. Sponsored posts are those were I get paid to write about something and include a link to a company’s products or services. If I am paid or gain anything for a blog post I will set it to be no-follow as per googles guidelines and I will make it clear I was paid. I follow the ‘Blogging with integrity’ rules from Britmums and a few extra of my own. I’m having to become more and more discerning about which charities to work with as I don’t want to overload my readers. If I can’t help with a post I will happily retweet for you. My blog is all about how I tackle the challenges of family life. It’s honest, sometimes funny, maybe a little challenging and definitely a different way of looking at life. It’s inspired by my life (although I admit I keep some stuff private out of respect to friends/family), my friends and my clients. I like to be honest about my challenges and show both the challenge and how I resolve it, rather than some parenting coaches who prefer to show a more perfect image. So I’ve found it both cathartic for me to write and also a brilliant way for me to reach more Mums than I can 1to1. I LOVE writing, and literally itch when I can’t blog/write a book. Luckily a few other people like my writing style too, so I’m now an award winning blogger and best selling author (just thought I’d mention that!). Check out the tabs across the top, for themes and series of blog posts. I get loads of readers who have never come across a blog before, so what is it and how does it work? 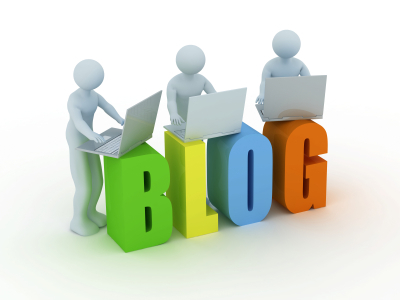 A blog is like a diary online. It’s not a book, which is more complete. It’s not a newsletter article, because that is more thought through. It’s short, pithy, and more off the cuff. They have become really popular for people to share experiences, or find a community of people, or as a cathartic release or to find something more interesting to read than the latest news about celebrities. How do you make sure you don’t miss anything? Now there are a few ways to subscribe. If you check out the 4 buttons on the right hand side at the top where it says ‘Come and say hi’ , then you have a few choices. You can press the facebook button and like my page. Or next to the facebook button is a button with a dot and two curves. This means that you can subscribe to my blog. When you click on it you will get a choice. Most people use google reader to view their subscriptions http://www.google.com/reader/. Or just below that you can subscribe by email. Now for the fun legal bit …. I love comments, so my comment policy is to publish everything apart from spam. It’s fine to disagree with me or other commenters, in fact that makes for a great discussion. But be unnecessarily mean, libellous, racist, horrid and I’ll either not reply and just leave you looking like an idiot, or remove your comment (it depends on how insulted I feel my readers will be). Be warned! I do the odd ‘sponsored post’ for companies, and will always make it clear I’ve been paid to write it. The words are always my own though, and I don’t accept content from elsewhere. I sometimes get paid to run the competitions as well, it depends on the prize. For more information on my advertising policy go to my contact me page. How to start up your own parent blog and why you want to! I’m in The Times … squeal! Britmums Live: Winning, What I liked, Outfits and a change to WIN SWAG!